BEST facilitators have been delivering charity bike build events for over 20 years. After going high-tech in 2012, we continue to pioneer the future of this CSR donation program with the use of our proprietary apps and Apple iPads®. Now building bikes for kids is even more high-tech. Every bicycle your group builds comes with a cool helmet and a lock for safety. Organization, delegation, communication, and some mechanical skills will be put to use to complete this fun and engaging activity. At the conclusion of the program, whenever possible, your group will present these beautiful, finished bicycles to deserving children – accompanied by a local charity representative who will address your group and thank you for your donation. On February 7, 2018, we delivered the largest bike build in history. 3,400 employees from Lowe’s built and donated 1,048 bikes for kids at an event in Las Vegas! The bikes built during our original Bike Build program are for children for ages 5-9 years. Knowing Bike Builds are in high demand with corporate groups, we developed another version of this program. We can now Build Green Machines, bikes with three wheels for kids of a different age range, from 7 years and older! Coming soon, we will add another program to our CSR bike lineup and be able to Build Bikes for Teens! Why should the older kids be left out, while many charities could benefit from bikes of all sizes. 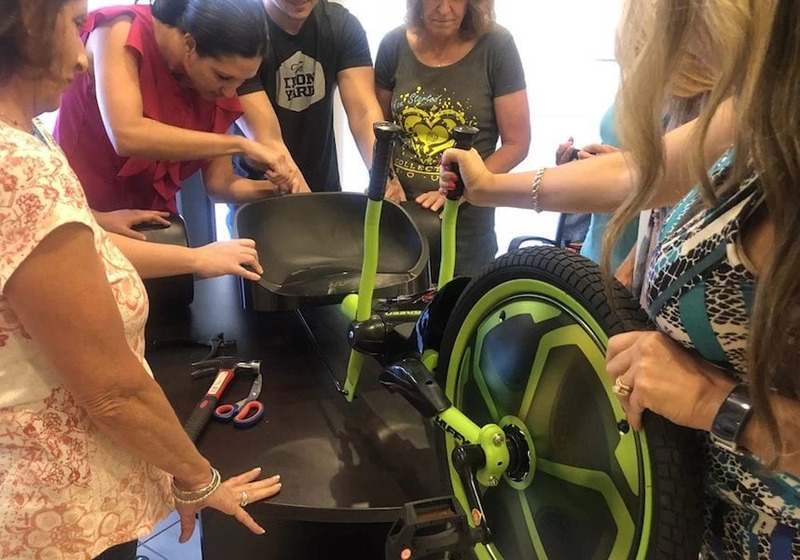 So if your group has already completed a Bike Build at their last CSR team building event, they can partake in building these two other types of bikes and feel the great sense of accomplishment that comes with helping kids of all ages.